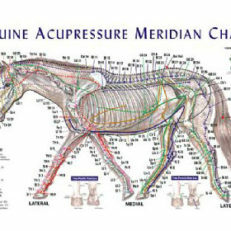 This chart depicts point location and channel pathways in context of muscle and bone for the major body views of front, side, back. 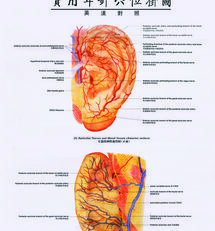 Additionally the 14 primary channels are explicitly and individually demarcated on anatomical line drawings in smaller surrounding border boxes. 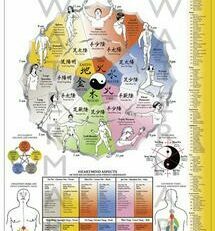 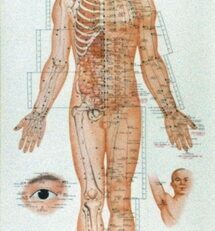 The chart draws from Chinese Acupuncture and Moxibustion, Seirin Pictorial Atlas, Acupuncture a Comprehensive Text, and Manual of Acupuncture. 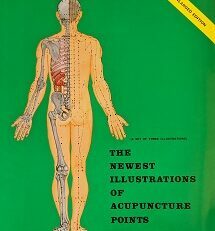 Because it is the bibliographic citation from NCCAOM, the latter text was decisive where texts diverged regarding specific point locations. 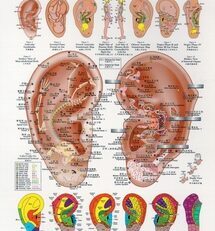 Students will find that this chart provides the resource needed to master the point and channel locations they are likely to encounter in examination, and practitioners will find it a highly useful and attractive point location chart for quick reference or for wall enhancement.